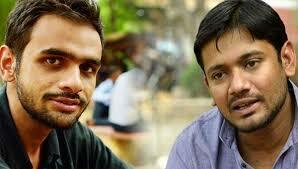 New Delhi: Delhi police commissioner Amulya Patnaik has said a charge sheet will soon be filed in the sedition case against former JNU students’ union president Kanhaiya Kumar and other activists, including Umar Khalid and Anirban Bhattacharya. “The case is in stage of finalisation. The investigation was complex as the team also had to visit other states for taking statements. The charge sheet will be filed soon,” Patnaik said. Kumar, Khalid and Bhattacharya were arrested in 2016 in a sedition case for allegedly organising an event in Jawaharlal Nehru University campus against the hanging of Parliament-attack mastermind Afzal Guru. The arrests had triggered a huge controversy with the opposition slamming police for “working at the behest of the ruling BJP”. The controversial event at JNU had sparked an outrage after allegations were made that anti-national slogans were raised. The arrest of Kumar catapulted him to national fame and resulted in protests across the country. Irrfan Khan's Laughter Makes 'Angrezi Medium' Director's "Life Better"
The fastest growing Shia News Association in the India, Shafaqna English has worked to represent the interests of Shia Muslims across the world – offering fair and balanced coverage on those issues which affect us most of all.